The girls and I decorated the house this evening, and it all came together so nicely. Every year, I seem to do something a little differently. I thanked my foresight from last year in packing everything so neatly. Nothing was tangled, and everything was so easy to put out because it was so well-organized last year. Win! 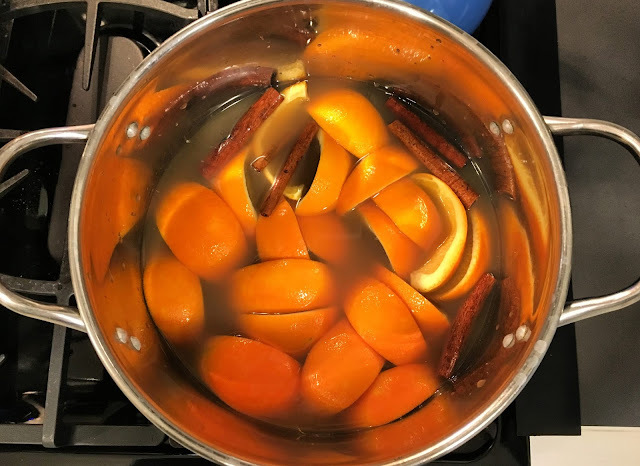 The house had a lovely aroma as I made mulled cider this evening. I use the recipe from Joy of Cooking, minus the rum and the sugar, and let it simmer all evening long. This satisfying alternative to Mulled Wine, 67, is particularly good when the weather is cool. A nonalcholic version can be made by omitting the rum. Bring to a simmer, reduce the heat to low, and simmer, covered, for 20 to 30 minutes. 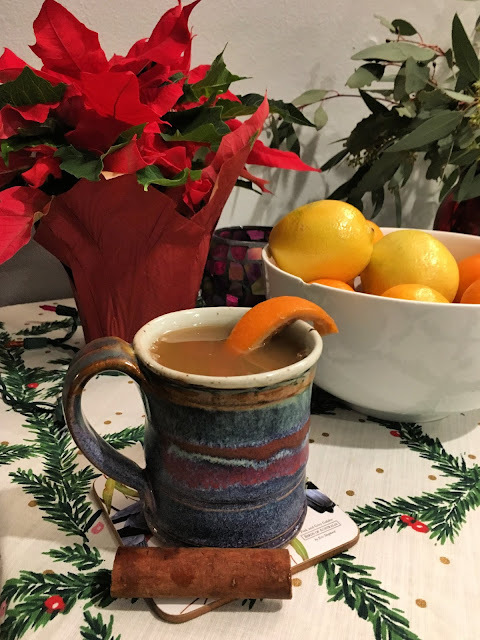 Ladle into warmed mugs, placing a cinnamon stick and a piece of orange peel or an orange slice in each one (Rombauer, Becker and Becker, 2006). Work Cited: Rombauer, I., Becker, M. and Becker, E. (2006). Joy of cooking. New York: Scribner, p.68.